1. Preheat oven to 180°c and line muffin tray with patty pans. 2. In a small bowl, mix Mundella Lactose Free Natural Yogurt with Bi-Carb soda. 3. In a separate bowl, mix margarine, and eggs (one at a time), then mix in vanilla. 4. In a large bowl, sift flour, baking powder, salt and mix. 5. Add the honey, egg mixture and yogurt mixture to the dry ingredients and stir to combine. 6. Stir through the chocolate chips. 7. Spoon the muffin mixture into the patty pans, (top with extra choc chips if you like) and bake for 25 - 30 minutes. 8. 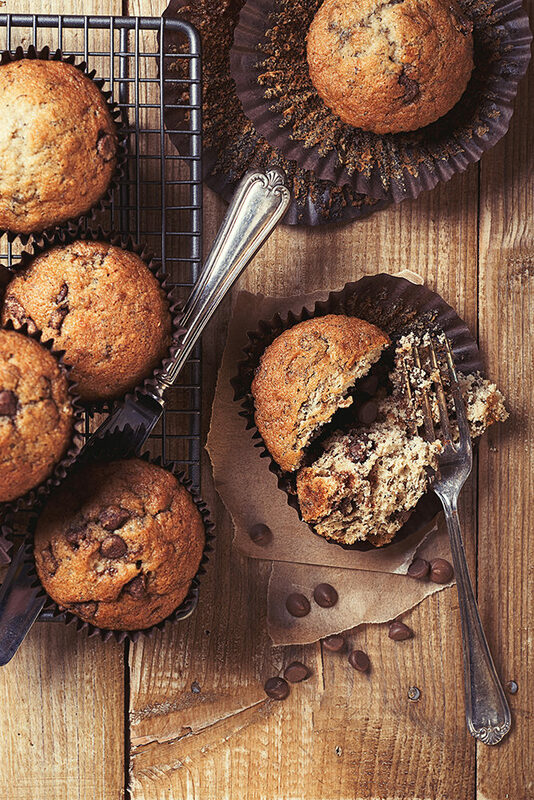 Remove from oven and set aside to cool for 10 minutes before removing muffins from the pan.